Nieuw Statendam is a new Holland America cruise ship which will join the fleet at the end of 2018. The ship has successfully completed sea trials which is a major construction milestone. 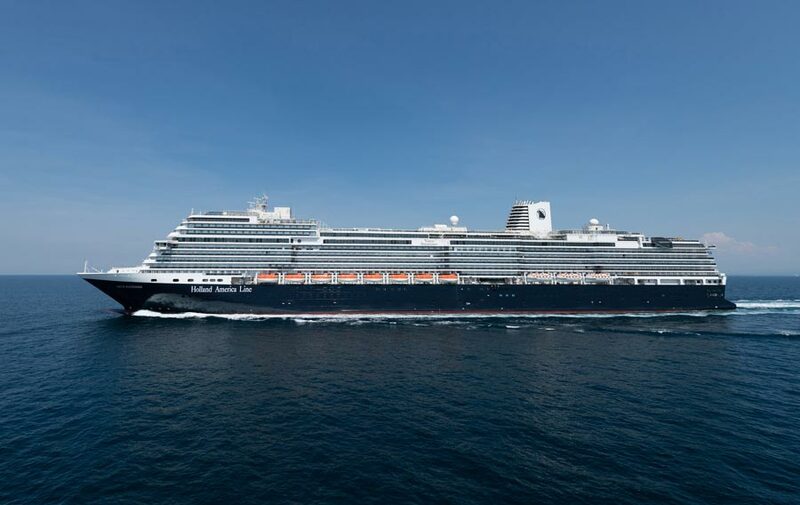 Nieuw Statendam has completed the very important sea trials. This means she is now seaworthy and in the final stages before being delivered to Holland America Line this December. The ship departed the Fincantieri Marghera shipyard on August 10 for the first sea trials which last for two days. Nieuw Statendam then went into drydock at the Italian shipbuilder’s Trieste yard. Further analysis was done of the sea trials and regular hull maintenance was completed. The Holland America ship then departed Trieste for its second sea trials on August 18. The ship made returned back to the original Marghera shipyard for the final touches before delivery. Sea trials is an important aspect of the ship construction to make sure everything has been done correctly and the ship can sail. During this important task, propulsion systems are tested along with maneuvering characteristics and safety systems. Many areas are tested which can’t be done while docked. Only essential workers, engineers, and Fincantieri nautical staff were onboard. What’s Next for the New Holland America Cruise Ship? Now really starts to get exciting for the second Pinnacle class vessel. Nieuw Statendam will be handed over from the shipyard to the cruise line on December 1, 2018. Once completed will be 99,500 gross tons and a guest capacity of 2,666. The ship will be an identical design to sister ship ms Koningsdam but will introduce some enhancements. There will be new exclusive public spaces not seen in the fleet before. Once in service, the new ship will sail the Caribbean for the Winter season and then reposition to Northern Europe Iceland and the Mediterranean in Summer 2019.